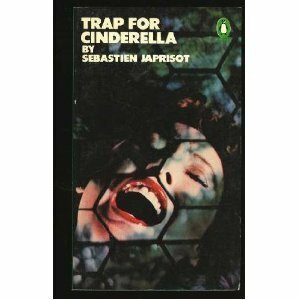 I discovered Sebastien Japrisot’s ‘Trap for Cinderella’ through the book ‘One Hundred Great French Books’ by Lance Donaldson-Evans. When I read the two-page essay by Donaldson-Evans on Japrisot’s book, I decided that I had to read it. Japrisot’s book was out of print and so after a while I searched for and got a used copy (used copies of two editions were available, one was a 1979 edition and another was a 1997 edition. I got the first one. It gave me goosebumps to hold a book which was nearly thirty-five years old and which looked quite good. If I had had that book for five years, it would have looked worse.) I finished reading it a few days back. Here is what I think. ‘Trap for Cinderella’ is one of those books which should be read directly without the reader having any idea what the story is about. Because the book starts with a blank slate and we alongwith the heroine get to know each detail slowly, the first revelation follows suddenly, and we are surprised as much as the heroine is. Any review – even a one sentence one – will reveal some element of the plot and spoil the joy that one gets out of the book. But I have to also say that I wouldn’t have got the book, if I hadn’t read the essay by Donaldson-Evans, which revealed part of the plot, without revealing the surprises. So, it is a tough thing to decide – should we read a review and then decide to read the book or should we read a book directly without reading anything about it? In some cases like this book, I think it is better to read the book without reading anything about it. But then the question arises on how would one discover this book, if one didn’t read a review or atleast the book’s blurb? It is really a chicken-and-egg story without any convincing answer. With the above caveat, I am going to tell you about the book now. Everything which is written here is more or less a spoiler. I won’t reveal the ending, but will give a general summary of the book. But even the name of the heroine would be a potential spoiler and so please be forewarned. A young woman wakes up in a hospital one day. She has got burns on her face and her hands. It looks like she has been in a fire accident but has somehow survived. She has forgotten everything that has happened. She doesn’t remember her name, where she is from, who her parents are, who her friends are, where she works – nothing. The doctor who takes care of her, tells her a little bit about what happened. He says that her name is Michele and she is twenty years old and she was caught in a fire accident in a beach house with her friend. And her friend died in the fire. He also says that her family friend and childhood governess Jeanne identified her after the fire and will come and visit her soon. The doctor also says that she might remember all the events soon because the amnesia she has is rarely seen in young patients and would be mostly temporary. Jeanne comes one day and takes Michele from the hospital to her house. Jeanne tells her more about what happened. She tells her about her friend Domenica who died in the fire. Then some surprising things happen. Michele realizes that whatever she knows is what was told to her by others – by the doctor and by Jeanne and by the pictures and letters that people show her. She doesn’t remember a thing. The only truth that can be gleaned with the information available is that there was a fire at a beach house and two young women got caught in it and one of them died and another survived with amnesia. The rest is all surmise. This leads to some troubling questions. What if she is not really Michele but is Domenica? And something leads her to believe that the fire itself was not an accident and was planned. Was it planned murder? The plot thickens. Is ‘Michele’ able to find the truth about her identity? Is she really Michele or Domenica? What is her relationship with the other girl identified as ‘Domenica’? What is her relationship with Jeanne? Was the fire accidental or was it planned? If it was planned who planned the fire to kill whom? And why? The answers to all these questions form the rest of the story. ‘Trap for Cinderella’ won the crime fiction prize in France (Grand Prix de la Littérature Policère) when it was first published and I am sure it was a well deserved winner. It is a noir thriller, which holds its own when compared with the best works of James Cain and James Hadley Chase. It is a masterful exhibition of what can be done with just a few characters in a crime novel, and a masterclass in crime fiction writing. I don’t think I have read any crime novel this year, but I am hoping to read some later this year. However, I have no hesitation in saying that ‘Trap for Cinderella’ is and will be one of my favourite crime novels of the year – probably one of my favourite crime novels of all time. It was made into a movie too, and I want to watch that some time. If you can get hold of a copy of this book, do read it. Have you read ‘Trap for Cinderella’? What do you think about it? I normally don’t get a book on the day it is released. I occasionally make an exception to this. I did that for the Harry Potter series – parts five to seven. I did that for Dan Brown’s ‘The Lost Symbol’. Now, I did that for the new Dan Brown book – ‘Inferno’. Across the years some writers who wrote popular fiction have become superstars. Three of them were J.K.Rowling, Stephenie Meyer and Dan Brown. When a new book by any of these writers came out, no one knew what the stories were about, advance review copies were not available, the warehouses where copies of the book were kept were zealously guarded, the book got released internationally on the same date and the first editions got sold out. For some reason, while Rowling’s Harry Potter series is still regarded with affection and respect by its original readers and new ones, Stephenie Meyer and Dan Brown seemed to have slipped down that ladder. Critics (and sometimes even the original readers and fans) say that Meyer’s and Brown’s prose styles are simple and workmanlike and after the initial success and euphoria readers and critics feel that there is nothing special about their books and their plots. It cannot be denied though that the popularity of Meyer’s Twilight series spawned off the whole vampire genre in YA literature, a genre which now includes werewolves and zombies and other characters of the night. Dan Brown’s books also spawned off a lot of imitations and inspirations – suddenly there was an upsurge of books which were based on paintings and artwork and the mysteries behind them. But readers of serious fiction who read ‘The Da Vinci Code’ and enjoyed it, talked about it with contempt. ‘I haven’t read ‘The Da Vinci Code’. I don’t read books like that’ became a fashion statement among some of these readers. I have been puzzled by this – on why readers of serious fiction regarded the Harry Potter series with affection while they treated the Twilight series and Dan Brown’s novels with contempt, albeit after enjoying them. Because for me, though they were all different in some ways, what they were trying to do was the same – entertain the reader. And they did that well. So, I was looking forward to finding out whether ‘Inferno’ did that too – entertain me well. ‘Inferno’ has all the elements of a vintage Dan Brown novel. There is an unexpected event which happens in the prologue. The rest of the book explains why that happened. In the first chapter we find Robert Langdon waking up in an unknown place without being aware how he got there. There is a beautiful, strong heroine who helps him. The law enforcement authorities and some unknown people chase him across cities and countries. The action moves across exotic locales – Florence, Venice, Istanbul. There is discussion of art, architecture, sculpture and history. Some of the information is used for unravelling the clues that Langdon and his friend Sienna stumble upon. And finally there is a surprise ending. There is good news and bad news about ‘Inferno’. First the good news. The action is fast paced, the book is well researched, there is a lot of information on art, architecture, sculpture, the symbolism behind them and the history behind them, and the book gives a lot of information about Dante’s ‘The Divine Comedy’. Readers who would never pick Dante’s book would learn a little bit about it from Brown’s book. And my favourite part was when Brown says that the best translation of ‘The Divine Comedy’ in English is by Allen Mandelbaum. (I have read parts of Mandelbaum’s translation of ‘The Odyssey’ and have loved it. I hope to read his translation of ‘The Aeneid’ some day.) It is not often that a translator of a classical literary work is glorified in a thriller novel. The last time I remember a translator being glorified in a thriller was in ‘The Chicago Way’ by Michael Harvey in which Harvey talks glowingly about Richmond Lattimore’s translations of the Greek classics. Now the bad news. The storytelling in ‘Inferno’ is not as sleek as ‘The Da Vinci Code’. There is a lot of information in the book about art and architecture, which has no relevance to the story. (In ‘The Da Vinci Code’ every factoid led to unravelling a clue. That was one of the things I loved about that book.) At some point the story meanders on and on and I will be lying if I didn’t say that I wanted to put it down at some point. Fortunately, I persisted and crossed the line in the end. 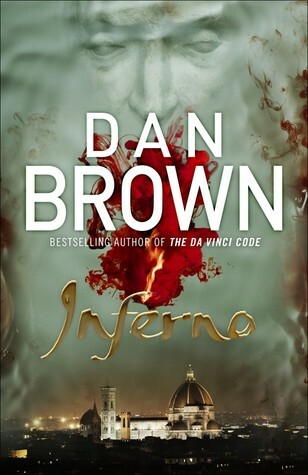 If you are a Dan Brown / Robert Langdon fan, you might like ‘Inferno’. It is not as good as ‘The Da Vinci Code’ or ‘Angels and Demons’, but it is good in parts and has some redeeming qualities. Have you read ‘Inferno’? What do you think about it? While browsing through my book collection, I discovered an interesting trend in it. Across the years, I had collected books by British women writers, writers who were probably well known in their circles, but who were all new-to-me. In the case of most of these books, I picked them up because I liked the plot. In the case of some books, I picked them up, because there was something about the writer that I found interesting, and in some cases, the book had won a literary award. Some of these books were also long / shortlisted for the Booker prize or the Orange prize. So, a few days back when I thought I will pick a new book to read, I decided to take all these books I have by British women writers and read them together. I thought it will be fun to compare their different takes on life and their different writing styles if I read them together. 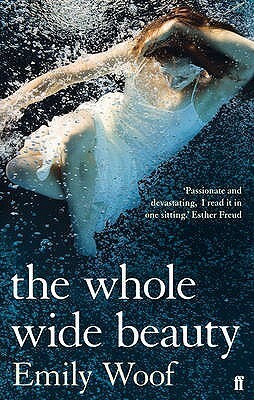 The first book that I picked up for reading, in this series, was ‘The Whole Wide Beauty’ by Emily Woof. I bought Emily Woof’s book because I had discovered her through a different context. A few years back I had seen the movie version of Thomas Hardy’s ‘The Woodlanders’. It is about a young woman who wants to grow out of her village roots and become a sophisticated person, but she keeps getting pulled back to her village by her childhood sweetheart, while the doctor that she is in love with, though he is sophisticated, is not exactly the nice person she assumes him to be. This young woman’s search for love and how circumstances and the social setup of that time foil her plans form the rest of the story. Emily Woof played the role of this young woman and I loved her performance. So, when I saw ‘The Whole Wide Beauty’ and discovered that it was written by the same Emily Woof, I couldn’t resist getting it. I have a soft corner for artists who are talented in multiple fields and who find expression for their creative impulses in diverse ways. ‘Have a soft corner’ is putting it mildly. I love these artists and am extremely jealous of them. I am especially biased towards actors and actresses who write novels. I have read and loved novels by Steve Martin (‘Shopgirl’) and Ethan Hawke (‘Ash Wednesday’) in the past. So I had to read Emily Woof’s ‘The Whole Wide Beauty’. I finished reading it yesterday. Here is what I think. ‘The Whole Wide Beauty’ is about Katherine who teaches music in a school for special children and her life and loves. Katherine used to be a dancer before, but she has given up dance after she got married to Adam. She and Adam have a son called Kieron. Adam’s parents David and Kay are very literary – David is a poet and also manages a foundation which is attempting to preserve the literary heritage of Northumbria, while Kay teaches literature and poetry at school. David organizes a fundraising dinner which also features poetry readings. Stephen, a poet who is mentored by David, is one of those who participates in the readings. The audience loves his poetry. And Katherine falls in love with him. How Katherine manages her relationship with Stephen and that of her family form the rest of the story. This is, of course, summarizing the plot simplistically. The novel is also about David’s attempts at raising funds for his literary foundation and the problems in doing so. It is also about the complex relationships that David has with May (his wife), Gregory (his brother-in-law), Katherine, Stephen and other characters in the story. From one perspective the novel is the story of Katherine. From another perspective, it is also the story of David. Though the novel is just around 300 pages, like George Eliot’s ‘Middlemarch’, the book has many characters, many stories, interesting surprises and beautiful prose. The main characters were all fully fleshed out and complex and flawed and humanly beautiful. Though I liked Katherine and Stephen and some of the other main characters (I didn’t really like David much) my favourite characters in the story were May and Ken (David’s gardener). Some of the interesting things I noticed while reading the book were these : one of the characters was called Kieron (Katherine’s son) and the word ‘pollard’ was used (in the sentence ‘the pollarded plane trees seemed to push up…’ – if you are a cricket fan you would probably know about Kieron Pollard); Katherine looks at her mobile phone to find out the time (which seems to be a very contemporary practice – I remember reading about this in two other novels recently); the singular form of the verb is used with the noun ‘a couple’ (in the sentence ‘A couple was crossing a side street.’ – today the plural form is used quite regularly though it is grammatically incorrect and it has even started sounding right to our ears, for example, if we say ‘A couple were crossing a side street’). I liked ‘The Whole Wide Beauty’ very much. I read some parts of the novel rapidly and I now regret doing that, because it is a novel which needs to be read slowly because only when we read it that way, the novel rewards us with its magic. I can’t wait to find out what Emily Woof comes up with next. May knew that he was reassured by her mischievousness, as she was by his indignation. When he spoke to Katherine about May, David always referred to her as ‘your mother’ rather than the familiar ‘Mum’ which presumed an intimacy he resisted. It was part of his stubborn Northern heritage. ‘Your mother’ was used by men to distance themselves from the family; ‘your mother’ seemed to Katherine to mean, ‘she’s your mother and neither of you have anything to do with me’. Once people were introduced to poetry, they would change forever. Poetry was a quiet permission for people to embrace their own mystery. David : His work is conceptual, very abstract. Christopher : Art has to look like something for me, I’m afraid. David : Artists like George Gull need you. Christopher : What on earth for? David : They need to be rejected. Christopher : I see. The perversity of the artist. Longs for success but thrives on disdain. They probably took their dog on the same walk every afternoon. May imagined their lives, conventional, their marriage so faithful and unchallenging. They were perfectly moulded to each other, like two bowls on a kitchen shelf. She could never have chosen a life like theirs, but as she got in her car to drive to Carlisle, she wished for a small measure of their contentment. The poem held a new intelligence. The language was arresting, almost disturbing, s though he had pounded and bullied the words, pushing them to the limits of making sense. It was a raw excavation of the human need for love and the struggle to sustain it. Have you read Emily Woof’s ‘The Whole Wide Beauty’? What do you think about it? Do you like reading novels by actors / actresses or creative artists from other fields? I have heard of Angela Carter’s ‘The Bloody Chamber’ before – as an interesting retelling of popular fairytales and legends – but hadn’t got around to reading it. When the book club I am part of, decided to read it this month, I was quite excited. I finished reading it yesterday and here is what I think. ‘The Bloody Chamber’ is a collection of ten stories. All of them are retellings of (probably) popular fairytales, folktales and legends. I could recognize ‘The Beauty and the Beast’ in a couple of stories and ‘Little Red Riding Hood’ in a couple of stories. ‘Bluebeard’ is also there and there is a vampire story as well. The first story ‘The Bloody Chamber’ gives the name to the book and is a retelling of ‘Bluebeard’. It is about a young girl who marries a strange count and goes to live in his castle. Her husband gives her the keys to all the rooms in the castle, and tells her that she can explore all the rooms but one. Of course, that forbidden room is what grabs our imagination and that of our heroine’s. What happens when she decides to explore that room and what horrible secrets she finds there and the aftermath of her discovery form the rest of the story. This was my most favourite story in the book. At forty five pages, it was the longest story in the book and had enough room for wonderful descriptions, beautiful prose, character development, plot twists and a thrilling ending. The story had references to Huysmans’s ‘La-Bas’ and Sheridan Le Fanu’s ‘Carmilla’ which made me like it even more. My favourite character in the story was the heroine’s mother whom the heroine describes like this – “My eagle-featured, indomitable mother; what other student at the Conservatoire could boast that her mother had outfaced a junkful of Chinese pirates, nursed a village through a visitation of the plague, shot a man-eating tiger with her own hand and all before she was as old as I?” Though the heroine’s mother appears in only a couple of scenes in the story, she is a really cool character. The last scene in the story where the heroine’s mother rides a horse furiously through a storm, clasping her gun, desperate to save her daughter, is one of my favourite scenes in the story. 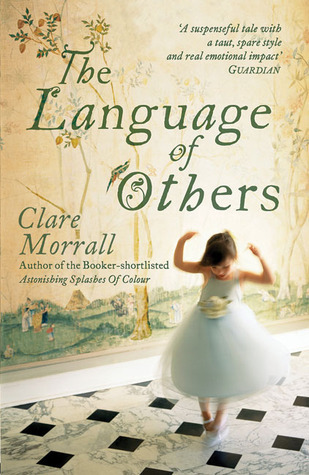 The other stories I liked in the book were ‘Puss-in-Boots’ and ‘The Lady of the House of Love’. ‘Puss-in-Boots’ had my favourite last paragraph out of all the stories in the book – “So may all your wives, if you need them, be rich and pretty; and all your husbands, if you want them, be young and virile; and all your cats as wily, perspicacious and resourceful as Puss-in-Boots”. I liked Puss and his girlfriend cat Tabs more than the main characters. ‘The Lady of the House of Love’ is a vampire story, but in which the vampire doesn’t like being a vampire and killing people but she can’t help it, and then one day a young man enters the vampire’s castle and the vampire falls in love with him. ‘The Lady of the House of Love’ had some of my favourite passages. The other stories were interesting retellings. There were two stories which were retellings of ‘The Beauty and the Beast’ – ‘The Courtship of Mr.Lyon’ and ‘The Tiger’s Bride’. The first one had the traditional ending while the second one inverted the ending and made us look at things with new eyes. ‘The Werewolf’ and ‘The Company of Wolves’ were retellings of ‘Little Red Riding Hood’ but again they had different endings and surprises and made us look at this traditional fairytale in new ways. I found ‘The Bloody Chamber’ quite interesting. I wouldn’t say that I loved it, but I liked very much some of the stories. Angela Carter’s prose is beautiful and lush and is a pleasure to read. The cover and inside flaps of the edition I read had illustrations by tattoo artist Jen Munford which enrich the reading experience. And the fact that I liked the longest story the best, might mean that I might like one of Carter’s novels more. 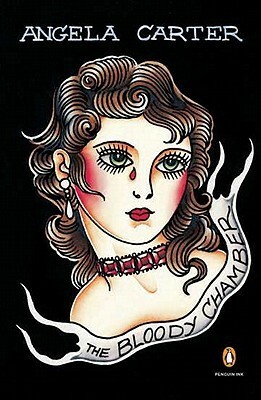 Have you read Angela Carter’s ‘The Bloody Chamber’? What do you think about it?